PowerScore student Marvin Dike is blogging about his comprehensive and detailed study methodology so that our readers can learn from his experience. Make sure you read Part I! Congrats! You finished the Power Score class or you finished reading all the PowerScore Bibles, so you’re ready to take the LSAT soon right?!!? All you have really done is gotten a grasp of the foundational curriculum, you haven’t mastered it. You understand conditional logic, you can read a question stem properly, you know how to approach a reading comp passage. Not close to mastering any of it to be honest. If you’re okay walking into that test without mastering it then be my guest and best of luck. My 5 year old niece knows how to read and knows how to sound out words but she hasn’t *mastered* reading. You have a foundation to build on, so let’s build shall we? The reasons why I know you aren’t ready for the LSAT yet is because the LSAT is a test of patterns. And you haven’t done enough tests to see the patterns. It’s one thing for someone to tell you the patterns, it’s another and much more valuable thing to be able to see the patterns for yourself and get comfortable with them. When you take the PowerScore in-person class, there are about 4 or 5 timed practice tests you take throughout the weeks of the course. During this time I didn’t take my scores all that seriously because I wasn’t done with the class yet and there were lessons we hadn’t gotten to that I was being tested over. But I still paid attention when we went over the tests and things like that. So after the class had finished, I took about 10 practice tests over the next couple months and never getting above a 153. I was living in the 150-153 range. Infuriated. I will be honest, the thought of “maybe this law school thing isn’t for me,” was starting to creep into the back of my mind. But I was staying positive. I would go over the test and be like “Wow, how the hell did I miss this?? How did I miss that?? ?” None of the questions were really above my head but I was getting them wrong during the test. A combination of time pressure, lackadaisical reading, and just falling for traps seemed to be an issue. And when I took the tests on my own, I was using a virtual proctor. So the time pressure was there. After getting stagnant in my scores, I took a step back and evaluated. I would read and see videos of other students who made the jump I wanted to make. Students who started off in the mid 140’s and got to the mid to high 160’s or even higher. Without sounding arrogant, I REFUSED to believe that these students were just somehow smarter than me, there had to be something they were doing that I was not doing. They had to be doing something different. Now I promise you I was doing all the homework, re-reading the curriculum, I did every problem set question available. All of that still had me sitting in the low 150’s. Keep in mind, those scores were AFTER I had already taken the Power Score class. So what gives? It wasn’t PowerScore’s fault either, it was mine. It doesn’t matter how hard you are working if you’re working wrong. I had a coach tell me that he would rather me swing the bat correctly one time vs swinging the bat wrong 100 times. What’s the point practicing if you aren’t practicing right. During my evaluation, I had a eureka moment. Almost an epiphany of sorts. This happened maybe 8 weeks after I watched one of Dave’s videos where he said your LSAT score is applicable for 3 years or something, and the point he was making was that all LSAT’s are essentially the same. Why are they the same? Because if you have a wide variance in test difficulty, you can’t properly compare scores. So the tests have to be pretty much the same to be properly compared across the board. Now when he originally said this in the video, it didn’t really click with me until weeks after. The LSAT makers NEED a certain distribution of scores. Think of a bell curve, and the ideal distribution that a bell curve wants. LSAT makers need the median test taker to fall in the low 150’s, it needs another small outlier of test takers to fall in the 145 and below range, and it *needs* people in the 170’s range. 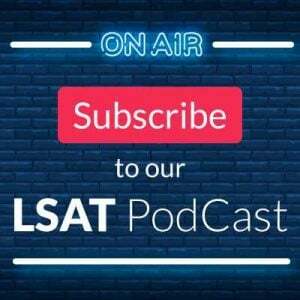 The LSAT makers DO NOT want a huge distribution of scores too far to the left of the median or too far to the right of the median. Why is this important? Because it means the LSAT HAS TO have a certain number of hard difficulty questions, certain number of medium difficulty questions, and a certain number easy difficulty questions. After figuring that out, I went to look at my test scores again and the analytics behind it…… Like clockwork, ALLLL my tests were the same story. I got 95 percent of the easy difficulty questions right, I was 50/50 on the medium difficulty questions, and I was getting only 10 percent of the hard questions right. It really killed me knowing I was the guinea pig the LSAT feeds off of. It killed me knowing I was getting questions right that they wanted me to get right, and the questions they wanted me to get wrong, I was getting wrong. 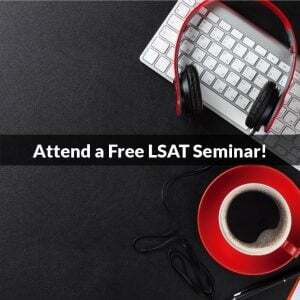 I was the poster child for the LSAT sucker. My mother did not carry me in her belly for 9 months without Chardonnay to have me out here being a puppet. LSAT MUST have people scoring in the 170’s. Now as crazy as the LSAT makers are, as diabolical as they may be, they are willing to reward the elite for picking up on their clues, they are willing to reward you for having certain skills on each section. The reason is because they NEED the elite to get them right. I figured out the skills that are really valued and what the LSAT tests. And I will break down how to improve on those specific skills. Now when I break this down, I’m not talking about the people who are in the 140’s. I’m talking about the skills that separate the people in the mid 150’s and the elite test takers scoring in the 170’s. This is for people who already have that foundation and want to go from average to great. The 2 skills they reward you for having (beyond being able to read basic rules, beyond being able to understand a simple conditional chain) are *can you make deep inferences* and *do you know when there ARE NOT deep inferences to make*. I point this out because when I first learned to split the game setup on Logic Games, I wanted to do it constantly. This was counterproductive. Do you know when a certain game only has a few possible game possibilities and scenarios? Do you know when the game is very open and you simply have to let the questions and the rules drive the game? These two skills are what I figured were more precious than gold. So how do you put yourself in position to master that? I’m glad you asked. Now this is a T E D I O U S process, but I guarantee that you will never miss any Logic Game questions (assuming you don’t make a mistake reading a question or a rule). Click this link and print out about 24 copies (or download it here). A page will track 10 tests so you’ll need 4 to cover all 35 tests (and you’ll want to repeat them maybe 6 times). This spreadsheet has columns and rows for you to log every single Logic Game you take. It has a column for the date you took it, the time you got on it, and your score. Score is like 4/5 or 6/6 or 7/7. Whatever. You literally log every single logic game you take (except obviously when you’re taking a timed PT, we will get to that though.) Yes this is tedious, but it’s essential for your success on LG. Take a Logic Game timed. If you miss a single question or if you feel like you took too long to do it, print out that game probably 8-10 more times. Yes, that exact same one game. Then you go look at the explanation for that game. And you do the game again immediately after seeing the explanation FROM MEMORY. Yes, as soon as you read or watch the explanation for that game, you do it again from memory. Why? Because all Logic Games are essentially the same. The inferences repeat. THE INFERENCES REPEAT. So if you retake that Logic Game and you memorize the answers? So what…the point is you know how you got there and memorized the inferences. So now you’ve seen the explanation, and when you take that game again, log your time on the spreadsheet. You are now done with that game until the next day. You take that same Logic Game again. Yes, again. And if you miss even a single question or take too long, go through the process again. Watch or read the explanations, do it immediately afterwards from memory and do it again. To be clear, on average you “should” take 8 minutes and 45 seconds per game. But this is not how the games work. Many Sequencing games or basic Grouping games should take you less than 5-6 minutes. And there are some very difficult Grouping games with sub categories that will take you 10 minutes. So I personally don’t use that 8 minute 45 second marker on all games. I use it very rarely to be honest. I just search the internet for where I should be on that particular game, time wise. Now that time I come across when I search is not the end-all be-all, but it is a decent starting point I can work with. Now if you finish a Logic Game and you get alllll the questions right and get it done in a reasonable time. You are done with that game for at least another few weeks. So quick review. Two things can happen when taking a new Logic Game. You do a Logic Game timed. You get all the answers right and finish in a reasonable time – you are done with that game for a few weeks. You do a Logic Game timed. You either miss a question or take too long, you watch or read the explanation, re-do that game immediately, and then do it AGAIN the next day. If you’re perfect on all these conditions you wait a few weeks to do that game again. And you’re logging each time you take it. Date. Time. Score. Now when you first adopt this method, it’s long and annoying in the beginning because you are missing a question on so many games and forced to look up the explanation and then re-do the game. It may take you an entire day just to get through 4 or 5 new games and apply the process because you are missing a lot. But I promise after diligently doing this for a few weeks, you will need fewer and fewer games to review because you’re getting them perfect and fast on the first attempt. You see that the inferences repeat and that games are all pretty much the same. A quick look into what I did/do every day regarding Logic Games…just to add some clarity. 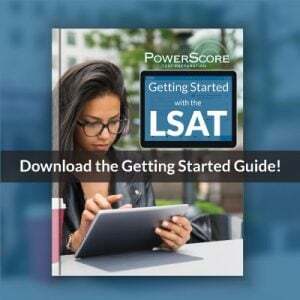 I started off on LSAT 1 game 1 and worked my way up to PT 35. I did them in numerical order on purpose because I wanted the Logic Games further down the line to be more indicative of the games on the current LSAT. There are a handful of games that are old and perhaps less applicable to the current LSATs. But I did them anyway just to be thorough. My goal was to use all practice tests from PT 1-35 as drilling material. And I was using all the tests from 36 and up as timed proctored test material. As you are reading this now, I have finished all the logic games from PT1-35. But to start off, every Logic Game I did, I printed out at least 2 times. Even if it was easy. I would do a Logic Game for the first time and if I got all the questions right and got it in a fast enough time, I would then put a date on the top of a clean copy of that Logic Game for when I would do it next. For example, let’s say I do Logic Game from LSAT 25, game 3, on June 28th. This is the first time I’m doing that game. I get all the questions right and do it fast. I log the date, time, and score. On a clean copy I will put a date that’s maybe 3 or 4 weeks away for when I will do that game again. So at the top of the page I would put 7/20…that 7/20 means on July 20th I will do that game again, along with all the other games that have 7/20 on it. Had I gotten any questions wrong when I originally did it on June 28th, I would have done the game again on a clean copy, and then I would have put a 6/29 at the top of ANOTHER clean copy game and put it in the stack with the other games that have 6/29 on top, indicating that it must be done the next day. Literally every single day I have a stack of about 10 Logic Games that I have already done multiple times that are part of the schedule to be done again. So after doing this diligently for like 4 weeks, I now have a stack of maybe 8-10 Logic Games per day that I have to do. Those stacks are all games I have already done a few weeks prior or something. I wake up in the morning and grab the stack from that day, I do each game timed, I log my times, check my answers, and that’s my review for Logic Games. I never miss any. Ever. And I do them fast. Later that day or in the evening, I will probably have a stack of 4-8 new, never before seen games I will do. Keep in mind, these are all games from prep test 1-35. I’m saving 36 and up to do as part of a full timed prep test. Anyway, I will time myself, check my answers, log the date, time, and score. On the new games, I never miss questions. I’ve seen them before, not literally, but in a sense that I’ve seen a variation of the game. This process allows you to understand so much. You have a much better idea of when to create Templates, you understand rules and can read rules better. You’re more comfortable with what techniques work for you. For example I number my rules. It just speaks to me better and I can refer back to the paragraph much easier if I need to double check. To improve at logic games, you should also try to “flash memorize” as many of the rules as possible. I realized during my practice how I would struggle more when I had to keep looking back at my rules over and over vs when I had most of them memorized. From question to question and even just answer choice to answer choice, which is why I realized memorizing the rules is a very advantageous thing to do. So, after writing my rules down and making inferences and making templates if necessary, I spend an extra 20-30 seconds just staring at and memorizing the rules. Or at least memorizing most of them. This is something you should try to do because you lose so much time moving your eyes and head back and forth from the rules to the questions, and the risk of overlooking or reading something wrong is higher when you look at it more. Do I always memorize every rule for every game? No. But I definitely memorize most rules for every game. Try to make that a habit—it’s worth the 20 second time investment up front. Understanding the importance of circling your random items (items that don’t have any rules or that were not talked about.) When there are two random items, those two items are essentially indistinguishable, they’re essentially the same. They aren’t unique with respect to each other. So when I see a Global question asking something like “which one of the following must be in _____ position” I know that both floater items are wrong because they’re the same. If two answers are ever the same, both are wrong. That goes for any section. Little skills like that are second nature now. To the point where I feel bad for students who fall for the tricks because this stuff is so learnable. These are all just little things I picked up on that have helped me. I can do a Logic Game section drunk and get every question right with plenty of time to pick my nose. One very important skill/concept that I’ve talked about with Dave and is a constructive criticism of PowerScore is how I’d like them to preach more on the importance of knowing when rules do and do not matter. Understanding this is just as important as understanding sufficient and necessary condition. If you’ve read the Bibles or taken the PowerScore course, you understand Mistaken Reversal and Mistaken Negation. In Logic Games, understanding that also applies. But I like the terms “negating sufficient condition” and “satisfying necessary condition” a little more. They speak to me more. You have to know that if at any point P is in 7, the rule goes away. The rule no longer matters. You’ve satisfied the necessary condition, the rule goes away, you cannot contradict that rule. Essentially, X can go in any slot. And conversely, if at any point X goes in any slot besides 5, you have negated the sufficient condition and the rule falls away. The rule no longer matters. When the sufficient fails, rule goes away. When you satisfy, the necessary rule goes away. And of course you gotta know the contrapositive. When you negate necessary you negate sufficient. This skill also helps me on logical reasoning. You know when the sufficient is failed you can’t conclude anything. And when you satisfy the necessary, you can’t conclude anything. I also like to mix in doing entire sections of logic games to give myself the 35 minute time limit. This is just another way to attack and make sure your overall approach to a whole LG section is ideal. That log sheet is your best friend. You should be looking at it to see your times and scores improve. Rewarded Logic Games skill – Can you make deep inferences and do you know where there are NOT deep inferences? Don’t just practice so you can get questions right, practice so you cannot get them wrong ever again. On my next blog, I will be talking about Reading Comp and Logical Reasoning. P.S. As of June 28th I finally got my first 170 on a practice test. Hopefully that wasn’t a fluke score and I can repeat it a 20 more times before taking the real LSAT haha. Thank you so much for the positive feedback I got on the last post, you guys have no idea how amazing that makes me feel. I’m glad I can be of some help. From the messages to the comments, it was all very positive, so thank you. You are not in this alone. The frustration, the uncertainty, I’ve been there. Hell, I’m here now. But I’m in a much better place and I’m confident. I’m still grinding just like you guys. Let my mistakes be a chance to learn. Feel free to reach out to me on any social media platform or email or comment on the blog and I will get back to you. This approach takes some organization, patience and diligence. Sorry for making these blogs so long, I’m just trying to be thorough and add context to my reasoning. Thank you for all your information. I noticed in a previous comment that someone asked if they could email you. I too would like to take advantage of contacting you by email. I have some questions. Just so you know, I’ve printed this blog and have made some notes and highlights. Hi Marvin, I was wowed by Part I and now I’m totally wowed by Part II!! I love how detailed you are! I’d like to know how you break up your day/hours. I work full-time in a demanding job. I know that’s no excuse to slack off or say I don’t have any time for LSAT prep, haha, but the job keeps me busy! Could you offer some guidance as to how many hours of prep I should be putting in on a daily basis, and then how I might efficiently organize my time so my prep can become as rigorous as yours? To be honest, after reading this blog post, I felt quite anxious! I have about 5 months before the Dec LSAT and I’m nowhere near implementing such an intensive prep regimen as you have. Thanks again for the excellent and super informative/instructional post! I’ve been loving your posts, and can’t wait to read the next one. Keep ’em coming! I also would love some guidance on the amount of time I should devote to prep each day, and the best way to organize my time. Thanks! Wow!!! I love your technique and have started it my self! So rigorous and detailed. thank you so much! When will you be posting your technique for Reading Comprehension and Logical Reasoning? Hi! Thanks for such a great post. I’m about to do your drilling method but I’m struggling how to actually input it and with what materials. I’m taking the December exam. I just finished my course a week ago. I’m starting to take PTs (the newer ones-last 30 released exams), and similar to you in your initial, my scores are in the 150-153 range. Should I implement this drilling method–meaning doing a game, timing it, logging it, repeating it several times–with older exams separate from the newer full length exams that I am taking? Meaning buying older exams and using those exams SOLELY for the purpose of drilling the logic games. Or can I drill with the newer games that I’m taking? I feel if I do the later, drill with the newer games, I won’t have enough material to drill bc I won’t be taking enough exams quickly enough and I won’t see accurate results with the newer exams. But if I do the former, drill with the older games, I feel like I won’t have enough time to drill with older games AND do multiple full length PTs each week. Does this make sense? Great and super useful article. Where did you get access to all of the exams? I’m taking the PS online course and the student center doesn’t have all of the exams? Good question! The course *does* have all of those tests, but some of them are not given in full test form on purpose. That’s because we use a large number of questions in your lessons and homeworks, and we don’t want you to accidentally bias yourself by seeing them elsewhere first! So, what you are seeing is an intentional decision made to optimize your study experience. At the same time, there are thousands of questions in full test form in your Student Center, and so I would start there with this. All the Homework and the many Take Home exams are more than most people get through but if you do so, let me know and I’ll advise on what to work on next. Thanks! I just want to say that this technique is soooooo amazing and effective. I implemented this and followed through with it every single day and every single game and ended up scoring perfect on the games on the September exam.